When I made the decision to do it like that, I made a note to re-do it in a blocky style for an alternate texture. I had since forgotten, thanks for the reminder. If you are going off the sreenshots only, then that texture has been replaced in the DL, if not, I might add an alt with a double wide gap that goes around the edge. Lower picture is the one I'm using. I haven't updated the screen shots since the original post, and won't until I start to design a fancy thread for when it gets out of beta. How is this BETA? It's nearly finished by the looks of it. First of all; I'm pretty sure 'beta' means a version that is nearly finished. The reason for posting it as a beta is because I haven't done any of the mobs and most of the particles/GUI. When I release it as a full thing, I want it to be 100% complete and only in need of maintenance for game updates. Really though, it's a good pack..might replace faithful as the "vanilla" styled pack I use. One thing I don't really like though, is how rounded the planks look. It might just be me, but I preferred a more flat look, even if it's just slightly more flat. An edit I did to the planks. I was lazy, so really, all I did was take the faithful planks, and put them on top of yours, with 50% opacity. It flattened it out enough for me. I'm usually the kinda person, if I don't like a specific texture, I'll just fix it myself. lol.. Hadn't really taught about the planks for a while. I really like how the planks look, so I won't change them, but considering that it is probably more realistic and faithful to default to have flatter planks, I might add an alternate texture. I like the texture for the planks too..Just in game, I always think rounded planks look a bit odd for some reason. The texture itself is good..It's more of a personal preference thing. I like the texture, but don't like it when actually used in-game..I dunno. lol. But yeah, alternates never hurt to have..especially if you wanna make things more or less faithful to the default pack. There's plenty of default textures that could be better, so having slightly less faithful variations wouldn't be bad. I was wondering, are you planning to add MCPatcher stuff? Like connected textures, and better skies? Obviously it'd probably be after the other stuff is done, but just wondering. Wouldn't hurt for some things like grass, bookshelves, and glass at least. Can I have those wooden plank textures? I've made an alt plank texture, is this flat enough for you, or should it have less shading? For reals? Are you intentional trying to insult me or is your eyesight really that bad. None of my textures look remotely anything like what XBR filters produce. Here are all of the different ones in their original size for you to use. The textures will be included in the next update for those who don't know how to use these. Hey Dack, I have been using this texture pack for while now (as you may know) and there is one thing that really bugs me; The wheat. Although I have adjusted to the texture pack and have learnt when it is fully grown, at times it is still difficult to tell. If you could please change it in some way to make it easy to tell when the wheat has finished growing, that would be might spiffy of you! That's on my todo list. Hopefully I'll have more time to do work on the pack now that most of my school work is done and my sports season is over. I haven't gotten much work done recently (though I have started on mobs). I don't want to throw around your whole pack xD but how about trying to move the final highlight by one pixel? I'm thinking that if mojang had 32x32 they might have placed the final highlight one pixel lower than on the 16x.Just a thought There is nothing wrong with edge highlights though. Edit: I sent you a pm with what I meant. It might look a bit blurry, but I believe you would be able to make am uch better job, I don't do well with default lol. Are you talking about the cobblestone - i noticed that too, it bugged me, bringing the whole texture down by 1 pixel would surely remove it. Oh, thanks! That is something I never noticed but annoyed me anyway. How does this look? Just checked it out in-game and it's made a huge difference (I always felt there was something wrong with the cobble), thanks for pointing it out! I've done the sandstone too! Yes, it's starting to look a lot more realistic (although that might not be a good thing), just be aware of the smoothnes. Sometimes making a texture too smooth makes it look kinda blurry. To fix it you can add some dithering, in order to get back some of the crisp sharpness it had when the edge highlights were meeting with the shadows. Thanks, I'll definitely keep that in mind. I don't want Stock 32 to end up resembling Lithos (not meant as an insult). If they end up looking the same then there will be no point in us both maintaining our packs. 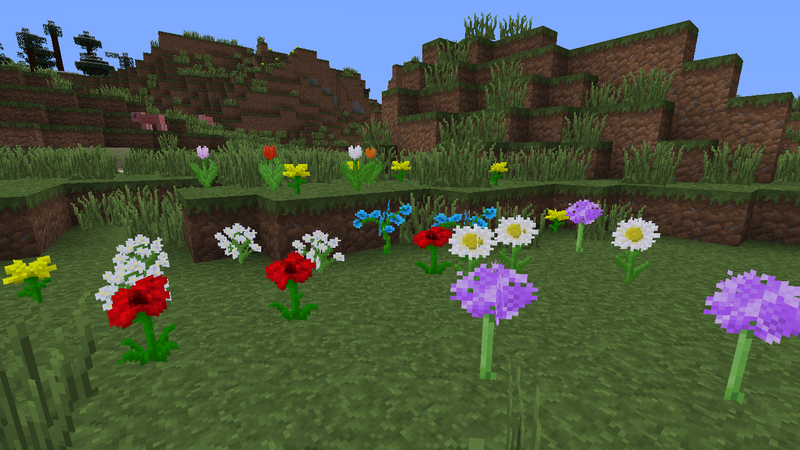 I've been working on the pack a bit more recently, so an update is probably on the way in the next couple of weeks. I want to get a decent amount of work done on the Mobs before the update.